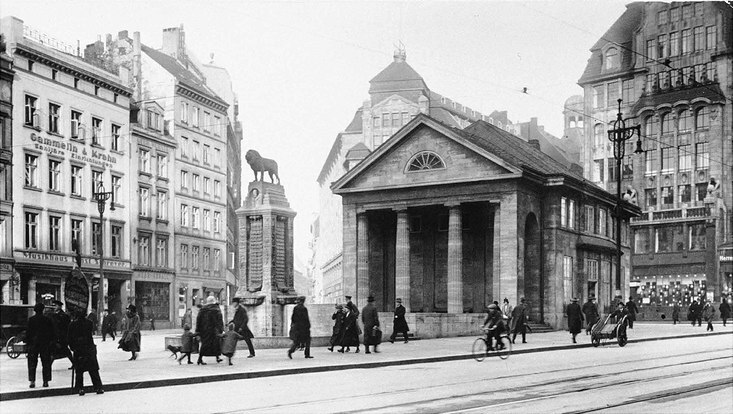 During the Empire, the “temple” on the Mönckebergstraße was still a library. Photo: inkultur - Hamburger Volksbühnen e.V. 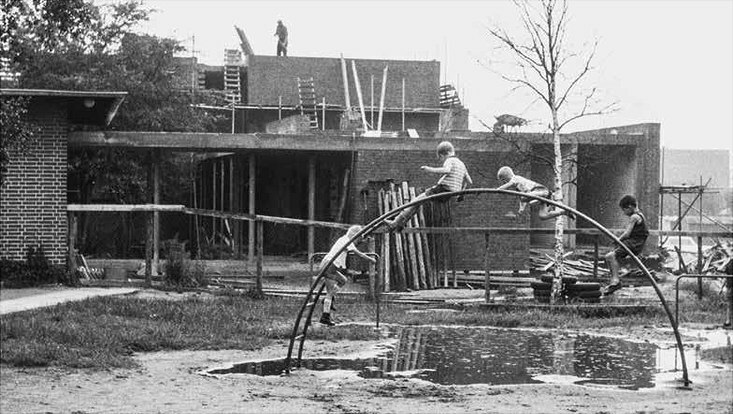 A childcare center being expanded in the 1950s. The exhibition “Die Zeit war reif—100 Jahre Bildung und Lernen in Hamburg” has now opened: it takes a look at a century of education and learning in Hamburg. The exhibition introduces Hamburg’s 5 large educational institutions and examines what it takes to turn a city into a thriving educational center. 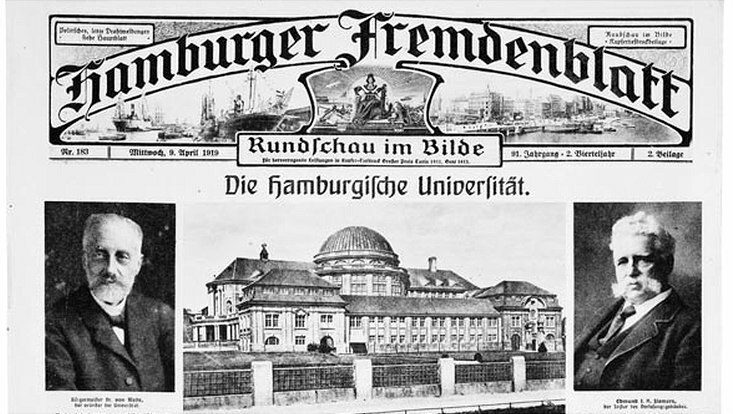 On 28 March 1919 Hamburg’s Senate resolved to establish a university. This was something new: Throughout the 19th century, only princes and kings had founded universities and Germany had been ruled by a monarchy until 1918. 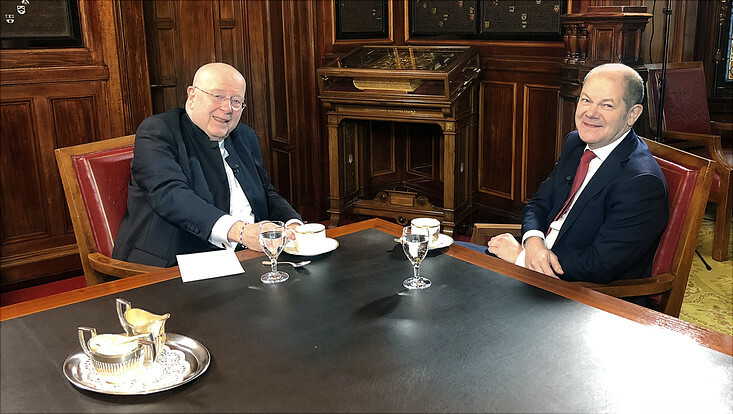 On 28 March, the senators also agreed to create a “Volkshochschule” or adult education center in another pioneering act. Until then, it had not been widely believed that the state should provide adults with opportunities for life-long learning. In 1919 the Senate further decided to make early childhood education a public obligation. From this point onwards, it generously funded a committee for infant and toddler centers. The association was a precursor to today’s Elbkinder childcare centers. It became an umbrella organization for over 50 centers that provided care to children with working parents. 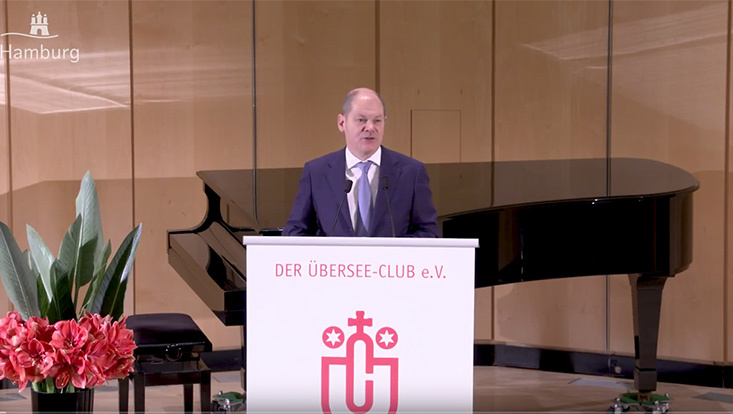 In the same year, private citizens and senators initiated the Hamburger Volksbühne e.V. (now inkultur—Hamburger Volksbühne e.V.). This society organized affordable theater subscriptions for Hamburg’s citizens, making culture and educational goods accessible to all. Finally, in the same year, all of Hamburg’s private libraries consolidated into a single foundation. This made it possible to better coordinate inventory, economize, and provide Hamburg’s eager readers with more books. Kuhli curated the exhibition in cooperation with colleagues from the Hamburg Adult Education Center, the Elbkinder childcare centers, the libraries, and the inkultur association. There are 48 panels of historical photos showing how the “Hamburg Five” have contributed turning Hamburg into a center of education. For example, the University was already a magnet for prominent researchers in the 1920s, attracting the likes of Otto Stern, who would go on to win the Nobel Prize. 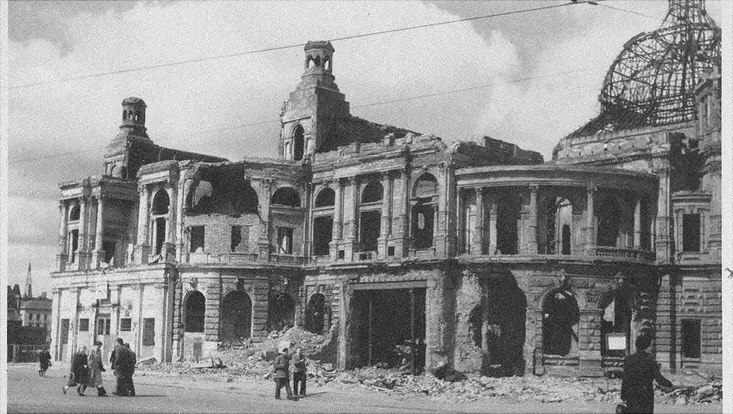 It was even possible for Hamburg’s citizens to take in some theater in this war-torn city: actors improvised, creating stages out of the ruins. 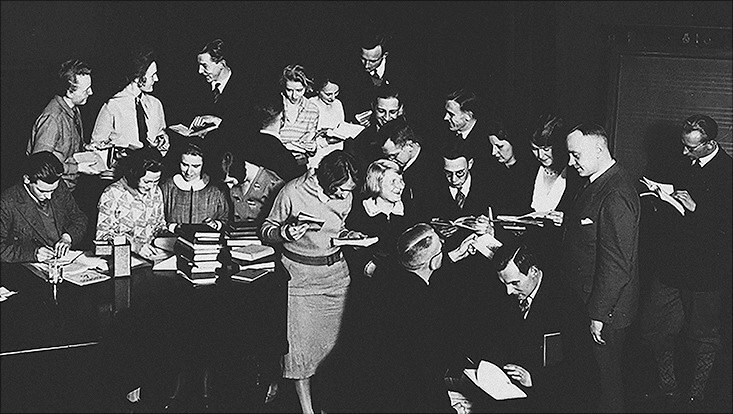 In the second half of the 20th century, there was nary a district in which you couldn’t borrow a book. Today, life in the city is inconceivable without the Hamburg Five. For this reason the Senate is honoring them with an exhibiton at City Hall. The exhibition will run from 18 March to 10 April 2019 in the lobby of City Hall, Rathausmarkt 1, 20095 Hamburg.